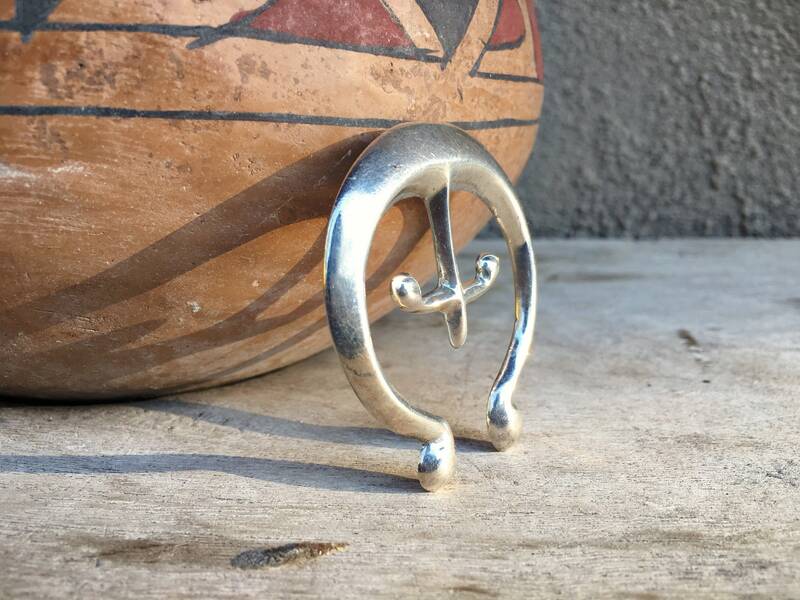 This is one of the more beautiful silver sandcast najas I've had the honor of selling. 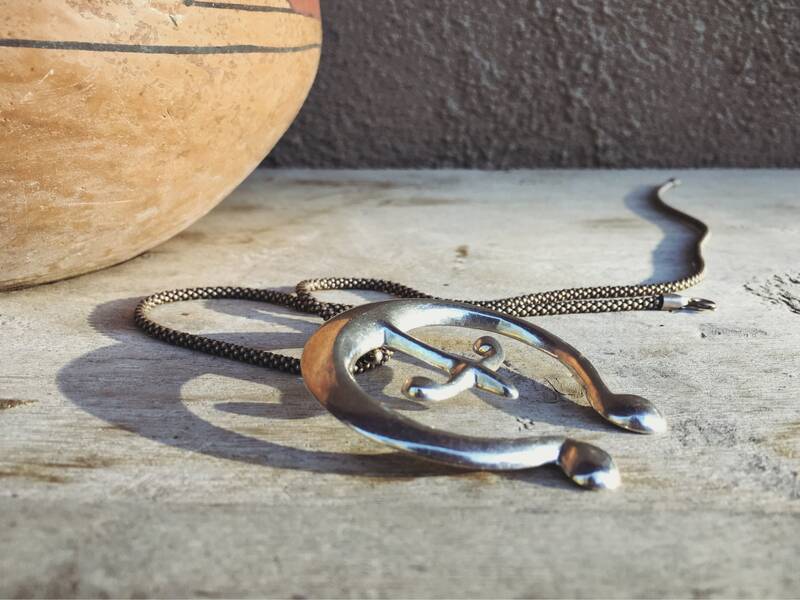 We typically see the naja as the center piece of squash blossom necklaces. The form was brought to the New World from Spain and Morocco and adopted by the Navajo and other Native Americans. This particular naja is heavy and hand filed, as we can see the file marks along the smooth edges. It has great presence. 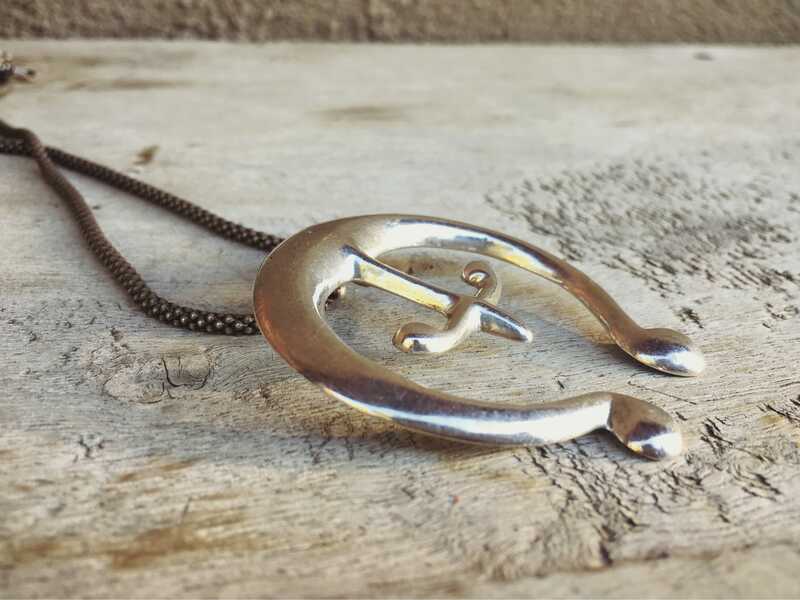 Just a beautiful, beautiful piece, which can be placed on and off of a chain with the shepherd's hook on the back. 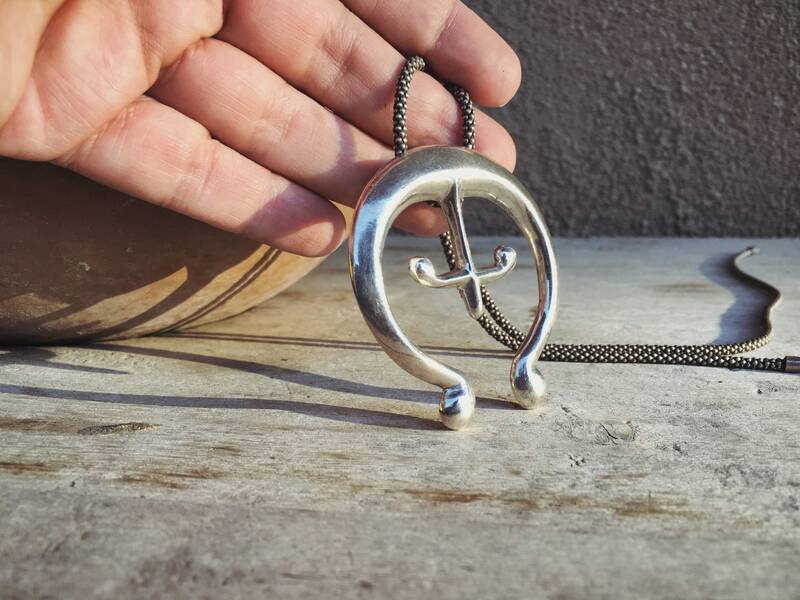 I think it would be best worn at collarbone length on a heishi necklace or leather cord. 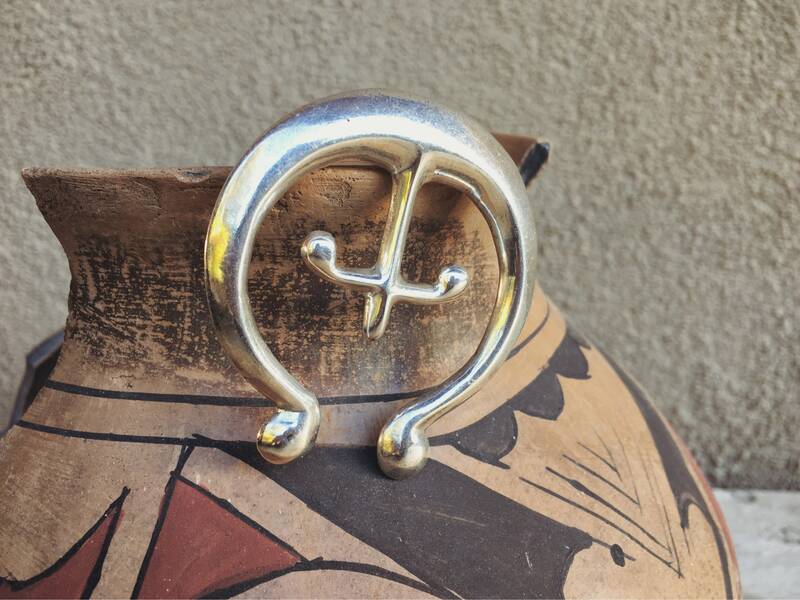 The piece is unsigned--most sandcast are since the process does not allow for hallmarks--and so we cannot say for certain that it is Native American; we believe it is Navajo. 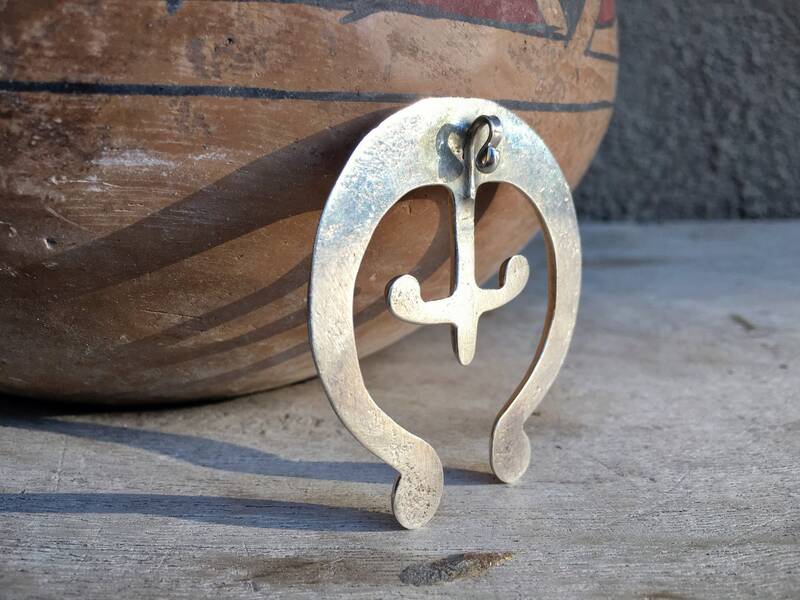 The naja measures 2" across by 2-1/4" tall. 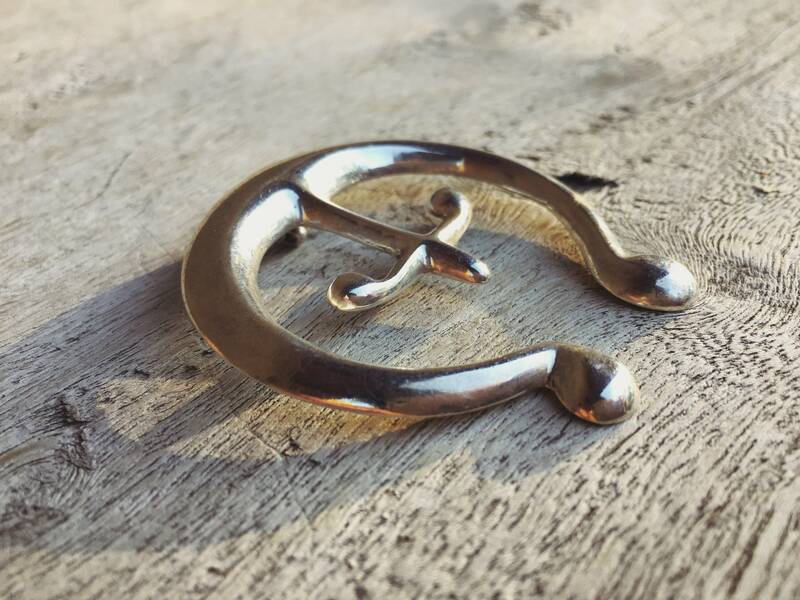 The hook opening about 1/8" to 3/16" wide but since it is open, it can be hooked on versus strung onto a chain. No chain is included. The passage of time, the blending of traditions.